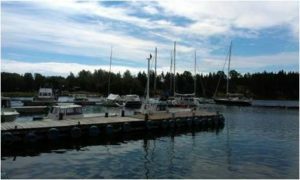 105 Rocks - Rosala - guest harbour - Sail in Finland! I was in Rosala a couple of times. Even in late June it was starting to get popular and by mid July it was properly hooching. There’s stern buoys off a long, substantial pontoon, but the second time I was there, there were none available and I had to set a stern anchor and perch right in the corner of the pontoon, nudging in between the boats. This was not ideal as there was a south westerly force 6 blowing, with about a kilometre of fetch. 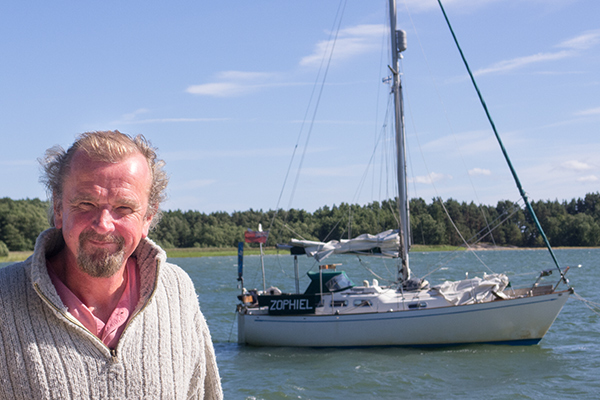 But other boat owners were friendly and helpful and had my anchor not held I’m sure I could have tied off alongside the next boat, which was on a buoy. Where I was squeezed in another, much larger yacht crewed entirely by 16 year-olds turned up. I think they were sea cadets or something. They put out a maximum of 10m of anchor line in the 8m of water and settled alongside – and blowing onto – Zoph, already straining against her anchor. A lot of Scandians have very little idea about anchoring and at least this lot had the excuse of being only toddlers. I sent them politely packing to polite murmurs of agreement from others on the pontoon. 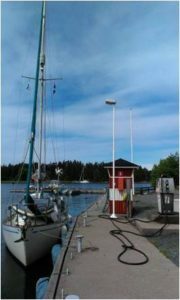 Rosala is a pleasant place with proper showers, a shop and a fuel berth. Not a bad spot to stop. 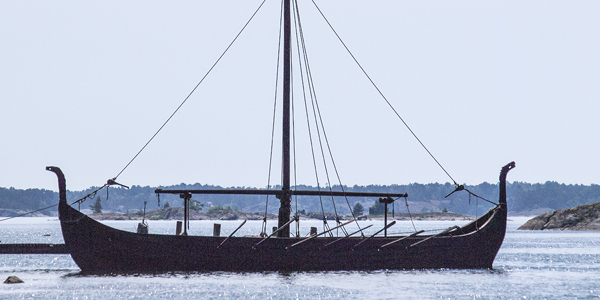 Rosala is well known for it’s Viking museum a short walk from the marina. 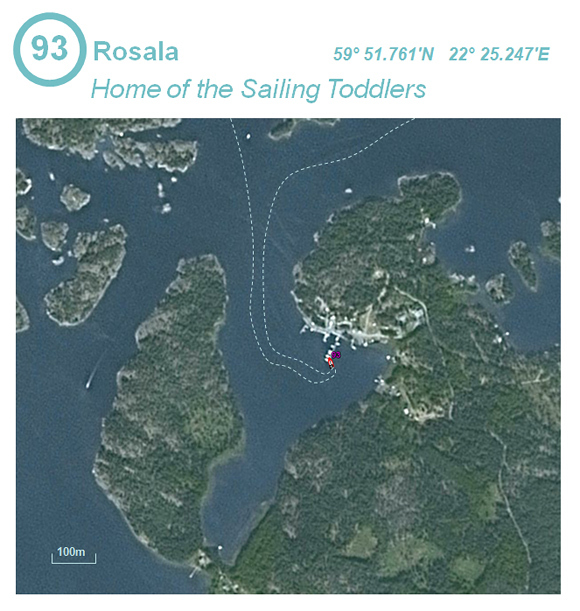 Locate Rosala on the map and find more adjacent harbours and marinas here.